As we previously announced, hip-hop imprint Rapster Records has begun a series of posthumous J Dilla compilations. The first one, Dillanthology 1, features a handful of Dilla's production work for other artists, and now the label has announced the details for the second in the series. 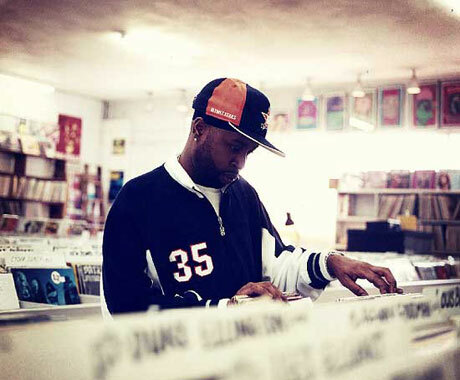 Dillanthology 2: Dilla's Remixes for Various Artists includes remix work the late producer did for everyone from De La Soul and the Pharcyde through outsider artists like Four Tet. 1. De La Soul "Stakes Is High [feat. Mos Def & Truth Enola] (Remix)"
2. The Pharcyde "Y? (Be Like That) (Jay Dee Remix)"
3. Masta Ace "Sitting on Chrome (Ummah Remix)"
4. Slum Village "Fall in Love (Remix)"
5. Four Tet "As Serious as Your Life (Jay Dee Remix feat. Guilty Simpson) "
6. Busta Rhymes "Whoo Ha (Jay Dee Remix feat. Rampage)"
7. Artifacts "The Ultimate (Jay Dee Remix)"
8. Moods "Secrets of the Sand (Remix)"
9. Spacek "Eve (Jay Dee Mix)"
10. DJ Cam "Love Junkie (Jay Dee Remix)"
11. Brother Jack McDuff "Oblighetto (J Dilla Remix)"
12. Brand New Heavies "Sometimes (Remix) [feat. Q-Tip]"